Summer vegetables are not difficult to grow. If you are a first time gardener, you will find that with a bit of time and hard work you can start a small vegetable plot, easily. Vegetables start losing their flavor and nutrients shortly after they’ve been picked. 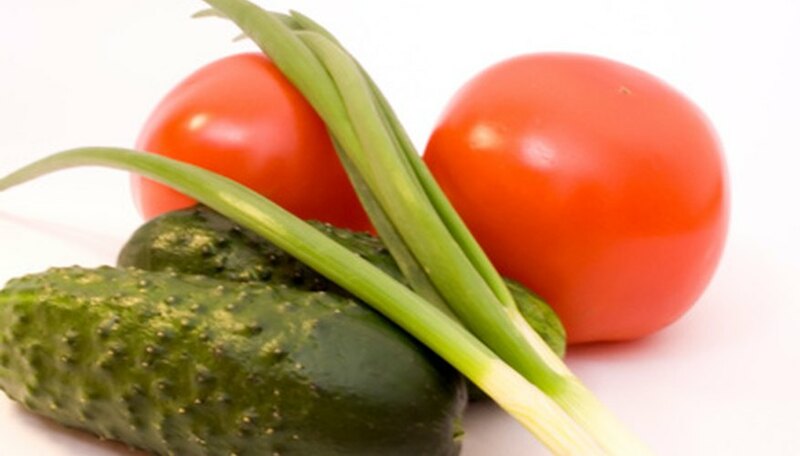 Unlike grocery store, home grown summer vegetables can be picked right before preparation. For a family garden, getting children involved in the planting and growing of summer vegetables is a good way to get them to also eat vegetables. Purchase summer vegetable seeds that you and your family already like to eat. It is okay, however, to experiment with a new vegetable, as well. The most popular summer vegetables are tomatoes, green peppers, green beans, cucumbers, zucchini, carrots, radishes and lettuce. Corn is popular also, but it takes a large garden space. If you have the room, four or more rows are needed for pollination purposes. Pick vegetable varieties that grow well in your plant hardiness zone, as suggested on the seed packet. Select a vegetable plot in a full-sun location. Prepare the soil by digging it up with your shovel, to about 1 foot deep. Take out any twigs, stones or weeds. Break up any clods of dirt. Pour 2 inches of compost over the top of the vegetable garden plot. Work it into the soil with your shovel. Adding nutrients to the soil now, through compost, feeds the vegetable plants later. Rake out the area evenly. Create garden rows, going from east to west. This will allow the most amount of sunshine on all of your vegetables. Plan to plant the vegetable seeds that will mature into the tallest plants at the north end of the garden plot. Place the medium-height vegetables in the center and the shorter ones, such as carrots or radishes, in the west or front. Use your hoe corner to mark off a line across the back of your garden (north end), 4 inches deep. Allow the soil to fall to the inside of the garden. Mark off a parallel line, in the same manner, 1 foot to the south. Allow the soil to fall in between the two lines. You have created your first garden row. Repeat this process for as many rows as you need. Leave a pathway between each row, for walking and working. Plant your summer vegetable seeds after the last frost has passed in your area, or as recommended by the seed manufacturer. Every type of summer vegetable is different, requiring various planting times, seed depth and seed spacing. Plant the seeds in the center of the rows, where the soil is peaked. Follow the seed manufacturer’s recommendation for seed planting depth and spacing, for each vegetable type. Push soil over the top of the planted seed. Spray the planted seeds, lightly, with water. Keep the soil moist, in this manner, until the seeds sprout out of the soil (germinate). At that time, begin watering in the side lines made by your hoe, filling them. Water once a week, unless you notice the soil is dry. You may need to water more often if the climate is especially hot and dry. Remove all weeds as they come up. They will compete with your summer vegetable plants for water and nutrients. If you notice an insect flurry, spray the vegetables with an organic insecticide. Use a wait-and-see attitude, after the first insecticide application. If you use it too often or in too large of quantities, it can stress and damage your plants.